Freshly sealed wood siding, comp. Shingle roof, 37.08 ac. This is a beautiful home with granite counter tops, great views and plenty of room for anything you can imagine. This property is located in the heart of a pistachio, and grape growing area. Plenty of room of room to ride and there are horse facilities for your horses. Corrals and a lighted metal barn. 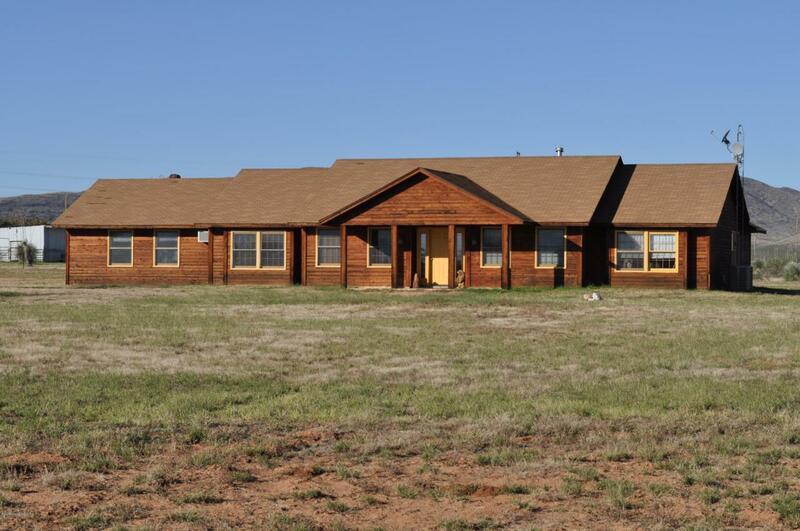 Do not miss this gem of a horse property. Energy efficient features. Water softer system installed for the entire house. New HVAC system just installed, and new Energy star hot water heater.